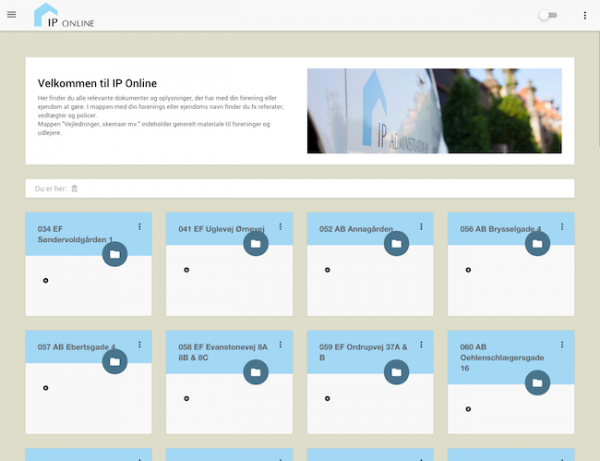 We have developed a cloud-based fileshare platform for IP Administration. IP administers proporty and offers tenants, board members, banks and others access to the files that are relevant for each. It is easy to create users and define whom should have access to what. The interface is simple to use and requires no introduction for the users. The website is responsive and thus adapts to desktop, tablet and mobiles.